Technicians are no strangers to working hard, but it is not just the staff that need to work hard – the tools and equipment used in the workshop need to add value and help get the job done. Garage lighting is no exception. Ring looks at how to get the best from inspection lighting. Quality of light makes a big difference in a workshop, especially if there is little daylight and inspection lights are being used for long periods of time. Getting enough light is essential, and a high lumen output is a good thing to look for in an inspection lamp. Lumens are used to measure the total light output per second, and a high lumen light will help provide comfortable working conditions. But it is not just the light output that is important – the colour of the light is also crucial. Light colour is measured in kelvins. Natural daylight is around 6,200K, so garage lighting with a colour temperature of around 6,000K is recommended to help reduce eye strain and help with intricate work. Having a high quality of light is important, but it is also vital that technicians can get that light where it is most needed. To help, Ring has launched the RIL3900HP MAGflex Pivot. At 6mm thick, this super slim lamp can reach in even the narrowest of gaps in the engine bay. It emits up to 400 lumens, with a 6,000K colour temperature for a comfortable working environment. 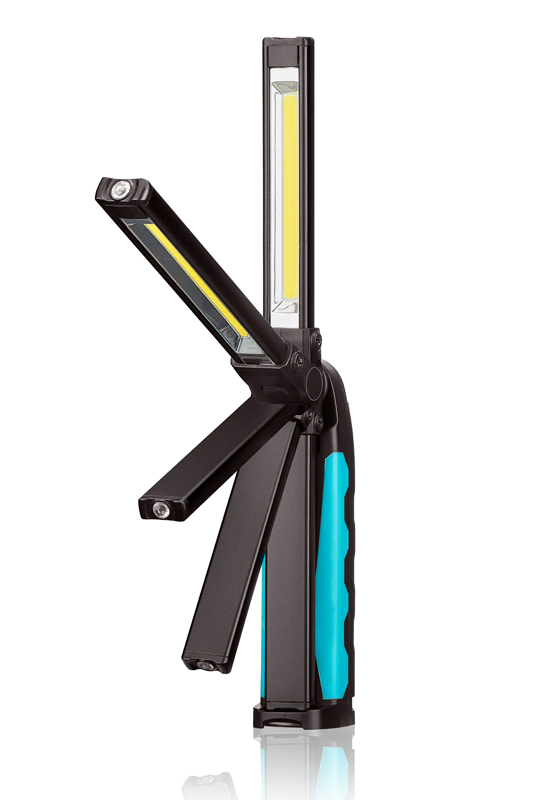 It also includes the signature MAGflex versatility – it can twist 360° and ratchet to get the illumination in the best spot. It is also lightweight and folds down to be pocket-sized: ideal for keeping with you around the workshop. A classic way to get more from a tool is to have two functions from one piece of kit. The Ring RIT1040 Zoom150 Duo LED Inspection Torch not only has a 150 lumen torch with 6x optical zoom – to widen or narrow the beam of light – but also an integrated inspection lamp to give bright, broad illumination. It is made from lightweight aluminium, which can withstand knocks and drops. Complete with magnets for hands-free use, this is a hard-working, hard wearing tool to help make light work of dark jobs. A bright, white light is crucial, but so is consistent illumination that remains at a high level throughout the life of the battery. The rechargeable Lithium Ion batteries in Ring’s inspection lighting are tested in the company’s ISO:9001- accredited laboratories, to ensure that the battery output is consistent, so the light will not fade as the battery power is used. The labs also test the light output, beam angles and colour temperatures of the lamps, to ensure they are providing the best working conditions for hard-working technicians in busy garages. For more information on Ring’s products, click here.